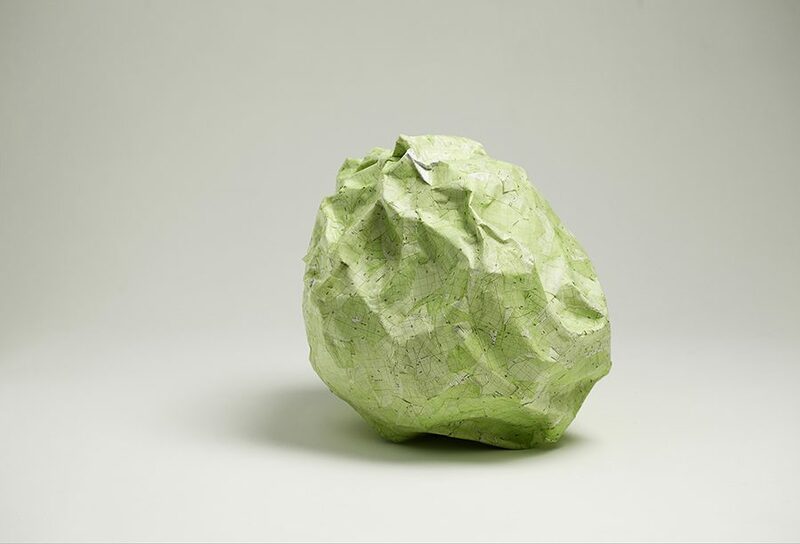 Susanna Castleden, Scrunched Ball (Albany), 2013, identical paper maps, glue. Approx 45 x 45 x 45 cm. Photograph Robert Frith at Acorn. Susanna Castleden, Building the World (Mark II), 2013, screen print, watercolour and gesso on rag paper. Approx 70 x 60 x 60 cm. Photograph Robert Frith at Acorn. 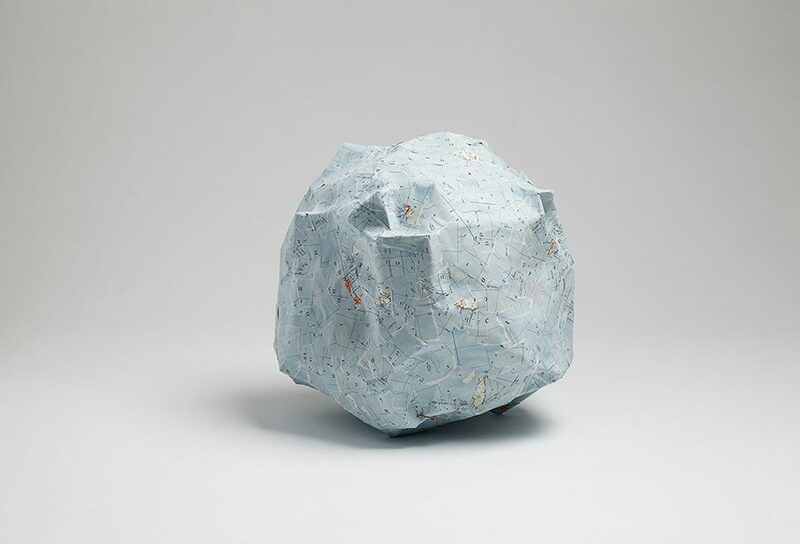 Susanna Castleden, Scrunched Ball (Disappointment Rock), 2013, identical paper maps, glue. Approx 45 x 45 x 45 cm. Photograph Robert Frith at Acorn. 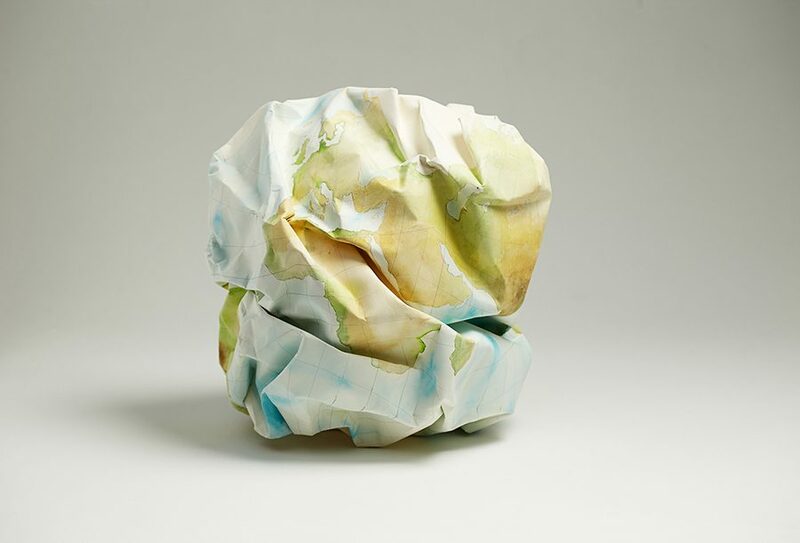 Susanna Castleden, Folded Globe, 2013, watercolour on rag paper. Approx 50 x 50 x 50 cm. Photograph Robert Frith at Acorn. 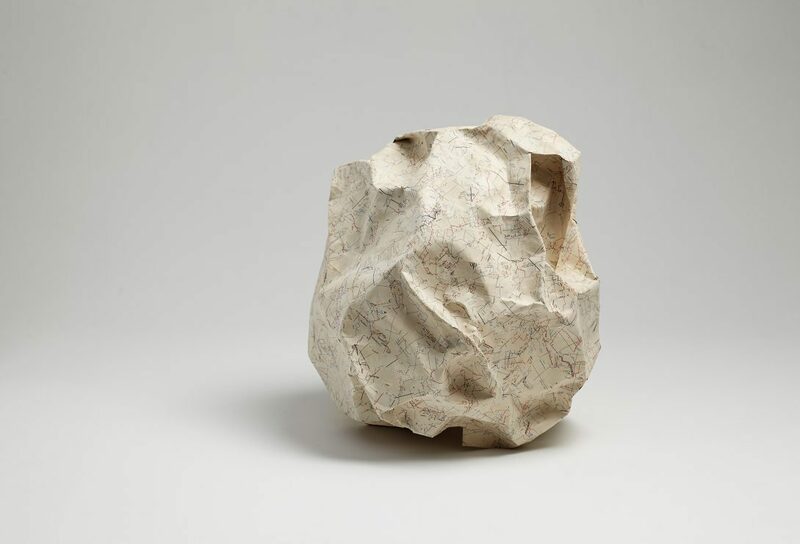 Susanna Castleden, Scrunched Ball (Great Sandy Desert), 2013, identical paper maps, glue. Approx 45 x 45 x 45 cm. Photograph Robert Frith at Acorn. 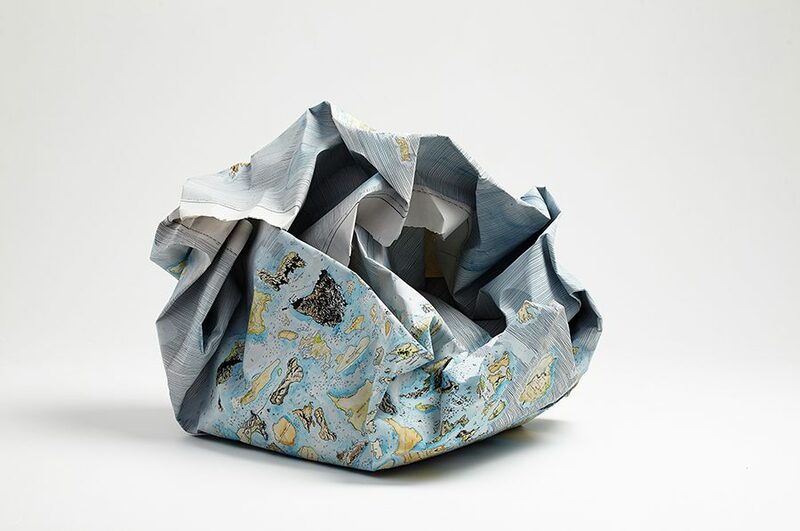 Susanna Castleden, Scrunched Ball (Pacific Ocean), 2013, identical paper maps, glue. Approx 45 x 45 x 45 cm. Photograph Robert Frith at Acorn. Since its inception in 1995, Contemporary Art Tasmania’s Curatorial Mentorship Program has nurtured the talents of 21 people, including current Senior Curator of Art at the Tasmanian Museum & Art Gallery, Mary Knights. The latest recipient is Emily Bullock, co-founder of The Story Island Project, a Tasmanian literacy and writing program modelled on San Francisco’s 826 Valencia project. 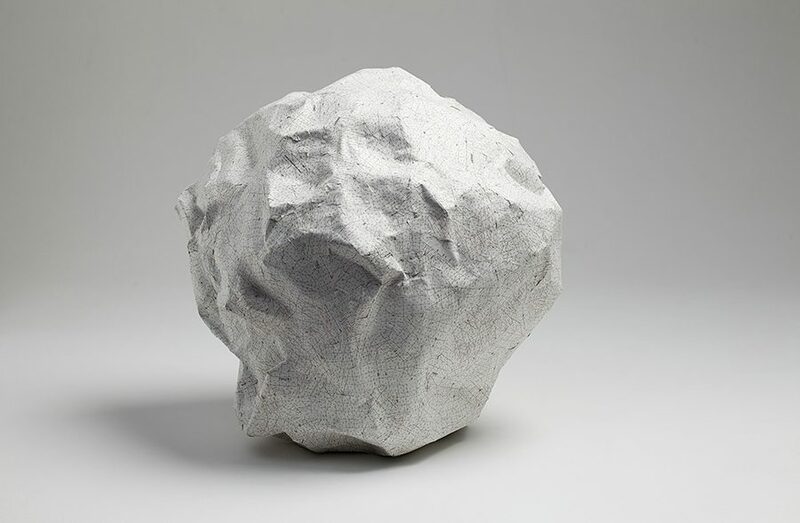 Bringing her literary experience to the visual arts, Bullock has curated Passages, a mixed media exhibition that includes six artists from the UK and Australia whose works map the experiences, both subjective and sensory, that connect us to people and places. 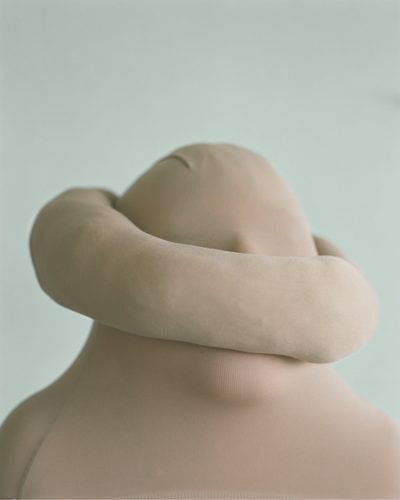 “In doing so, the works gesture beyond representation to the haptic and emotional, revealing the temporal contingencies of place, a dynamic that is practiced, embodied, inhabited and felt,” says Bullock. 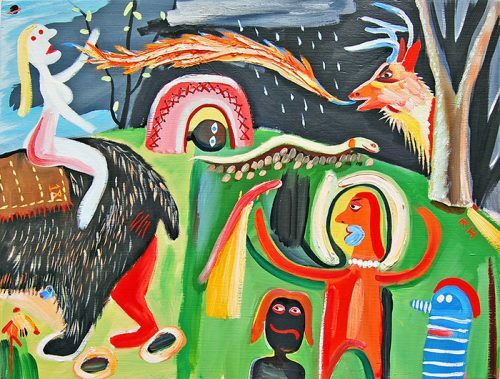 Incorporating a range of mediums including video, furniture and sculpture, the exhibition combines mid-career artists like prominent Tasmanian Aboriginal artist Julie Gough, furniture maker Linda Fredheim and printmaker Susanna Castleden alongside emerging artists Vivienne Cutbush, Pip Stafford and Laura Hindmarsh. 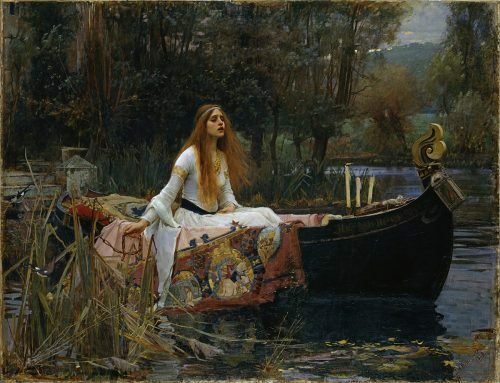 Together they push the boundaries of conventional mapping techniques and use memory, dreams and emotions to navigate a terrain that moves invitingly through tactile and sensory elements. Susanna Castleden expresses these concepts in Building the World, (Mark II) 2013, a delicate watercolour map of Dubai’s World Islands luxury real estate project. Instead of being positioned flat, Castleden’s map is scrunched into a wonky sphere, with shadowy folds harbouring unknown places, questioning how we observe, manipulate and interact with the world.